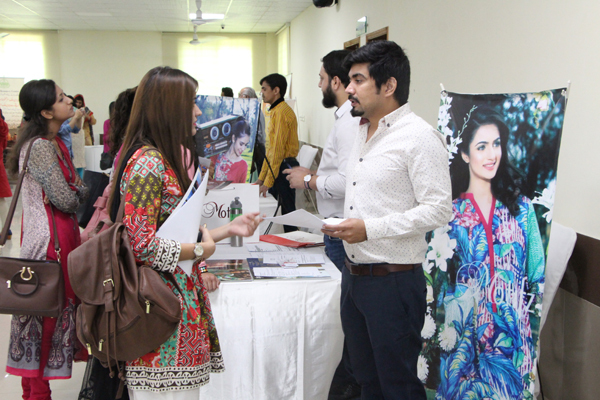 The Office of Career Advisory and External Linkages (CAEL) organized IAS Annual Career Fair at Institute of Administrative Sciences (IAS) on April 27th 2017. 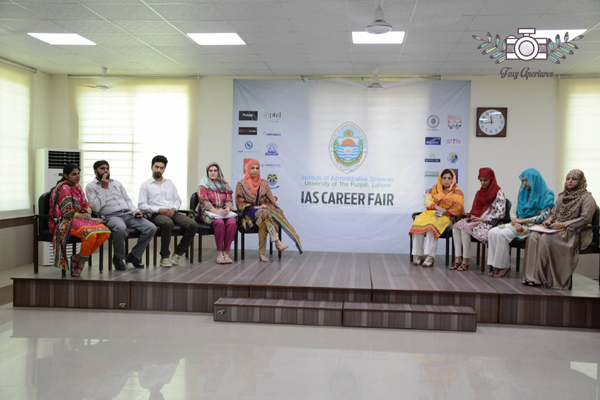 IAS has been successfully hosting the career fairs annually, providing students an opportunity to explore various career directions with exciting job opportunities and to get to know the requirements of the industry. 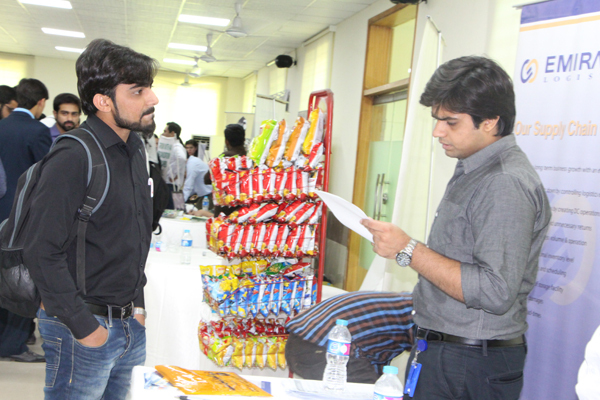 The recruiting companies get the chance to identify their potential candidates. 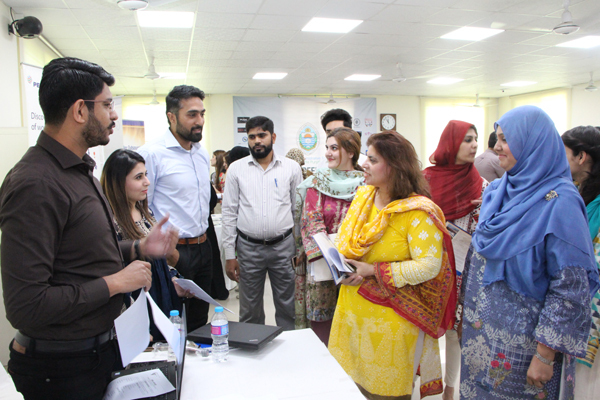 Career Fair included a Career Boot Camp by Career Buzz where students were provided with guidance and coaching on CV makeover, job applications procedures and personality assessment tools. 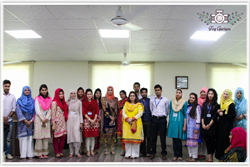 Pepsi Co. International conducted an exclusive briefing session for graduating students about application procedures at Pepsi Co. and career paths for various management functions. 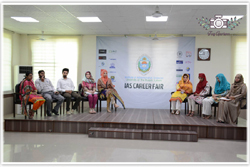 Commenting on the relevance of the event, Dean Faculty of Economics and Management Sciences (FEMS) and Director IAS, Prof. Dr. Nasira Jabeen said in her inauguration speech that the Career Fair is a mutually beneficial affair for both our graduates and the participating organizations. 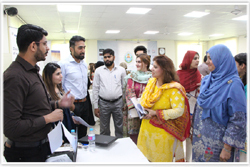 It provides an excellent forum to the graduates in terms of exploring the job opportunities, jobs nature, scope and relevant requirements of the industry. 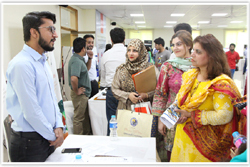 While it provides the organizations with an opportunity to showcase their products and services and find the suitable talent for every industry as our public sector universities represent the real Pakistan. 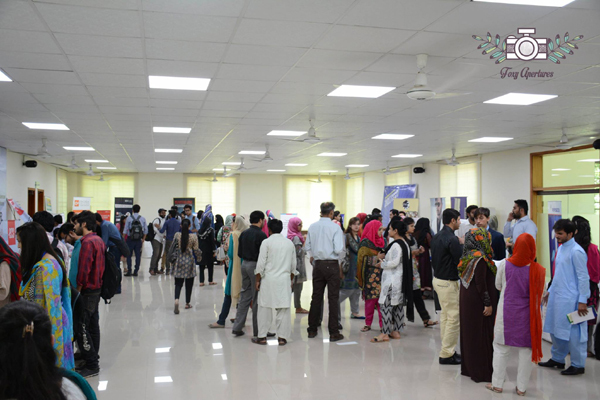 This year, 28 leading companies from multiple industries participated in the fair. It is noteworthy to mention that these companies included few startups of IAS students and graduates. 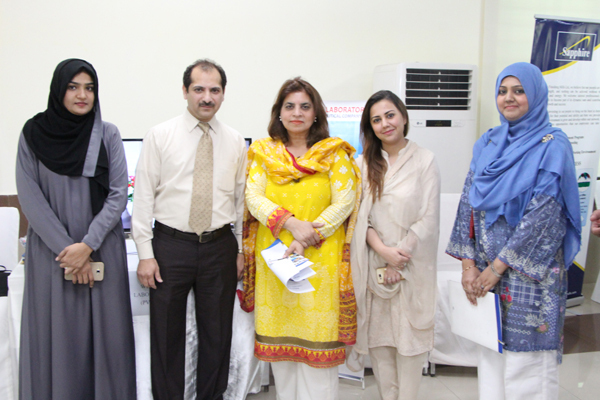 The organizations that participated at the fair included Shaukat Khanum Memorial Cancer Hospital & Research Centre, Pepsi Co. International, Wilshire Laboratories (Pvt.) Limited, Ehsan Chappal Store (ECS), Emirates Supply Chain Services (Pvt.) 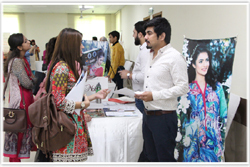 Limited, Cotton Web Limited, Stylo Private Limited, Unique Group of Institutions, Sapphire Finishing Mills, Sefam Private Limited, Akhuwat, Fountain House, HRT Consultants, Recrudio, Ibex Global, Career Buzz, US Apparel & Textiles (Pvt) Limited, Motifz, Pulse Outfits, Beaconhouse School System, Ali Akbar Group, Pakistan Telecommunication Company Limited (PTCL), Dockit, Migrant Resource Center, World Call Telecom Limited, HR Legends, Pink Ribbon Pakistan - Women Empowerment Group and Master Group of Companies. 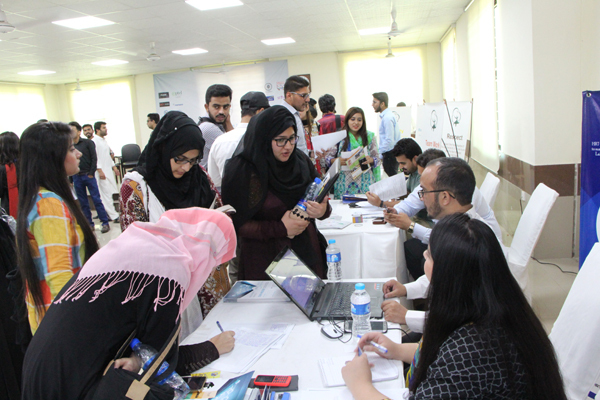 The representatives of the companies provided the students with career advice and shared the requirements of the job market. 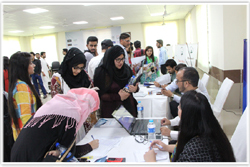 Every organization conducted on-spot screening interviews and collected resumes of students and graduates who visited the fair for various vacancies at their organization. 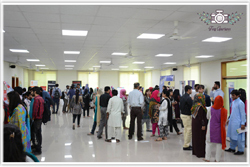 Above 250 students visited the career fair including students from all programs at IAS. Few alumni members also visited the fair and highly appreciated the efforts of IAS in bringing them closer with the student body and to the institute as well. 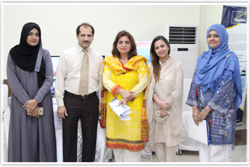 At the end, note of thanks was expressed by Prof. Dr. Nasira Jabeen appreciating the employers and efforts of CAEL team to make this event a big success in terms of meet and greet and networking opportunity. 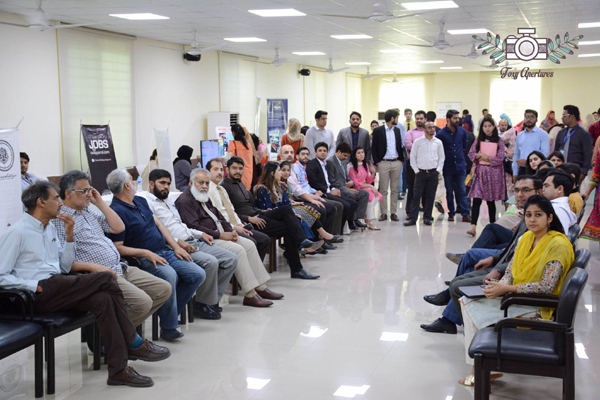 In her closing speech, Dr. Jabeen mentioned that IAS aims to formalize the institution's support for entrepreneurship and provide platform for potential entrepreneurs by facilitating their startups in terms of infrastructure. She proudly shared the news that IAS is offering newly built offices to IAS graduates for their entrepreneurship startups on very subsidized rates. 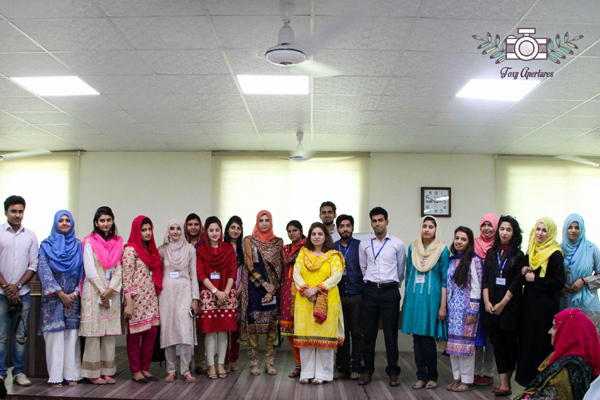 It was followed by lunch and presenting of souvenirs to the companies' representatives. 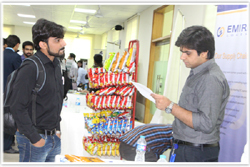 Career fair aids in strengthening the academia and industry linkages. Recruitment drives and on-campus interviews are the next phase of CAEL's Graduate Placement Project.